Louisiana’s public defenders have long been underfunded. As NPQ noted in 2015, the average time spent by a New Orleans public defender on an individual’s case is seven minutes. Exstrum points out that according to a 2016 report released by the board, public defender caseloads average twice the recommended state limit. (We’re not sure if 14 minutes per client would be sufficient, but no matter). In 2016, the American Civil Liberties Union filed a class-action lawsuit on behalf of inmates against the Public Defender Board and the Orleans Parish office, claiming the refusal of the office to accept new cases violated inmates’ constitutional right to counsel. The situation of public defenders in Louisiana has seen other absurdities, including charges that public defenders were subverting the death penalty in Louisiana by successfully defending their clients—i.e., doing their job. 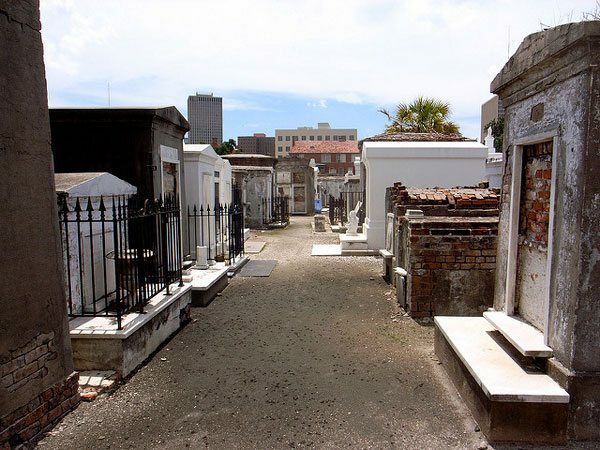 The lack of funds has been so severe that two years ago, the city of New Orleans ran a $50,000 crowdfunding campaign in an admittedly largely symbolic effort to reduce the funding shortfall. Louisiana has the nation’s highest rate of incarceration. It also has the nation’s second-highest exoneration rate. Cutting funding to Innocence Project New Orleans might reasonably be expected to slow down exonerations and leave even more innocent people behind bars. These nonprofits, Exstrum notes, also “help public defenders shoulder the burden of massive caseloads by taking on cases that are too costly or complex for them to handle.” Exstrum adds that, “Legal groups worry that the proposal, which they say is likely to pass, would simply move money from legal aid groups to the public defenders instead of actually increasing resources for public defense.” State Public Defender Jay Dixon, a member of the Public Defender Board, concurs that the bill would almost certainly cut support for nonprofit legal aid groups. Emily Maw, director of the Innocence Project New Orleans, notes that her organization receives $360,000 annually from the Public Defender Board, a little over a third of its total budget. The situation of public defenders and nonprofits being set against each other over crumbs in Louisiana is dismaying, albeit predictable. Meanwhile, elsewhere public money flows. For example, the nonprofit Good Jobs First points out that Louisiana awards “nearly $1 billion a year in industrial property tax exemptions for existing facilities and is willing to spend big to attract new ones.” In 2015, a local television station ran a nine-part series on such practices titled Easy Money. In New Orleans’ Times-Picayune, bill author Sherman Mack (R-Albany) says that he has proposed the bill to address the backlog in public defender offices. But Dixon says the bill, by cutting nonprofit support, would “cripple” the already limited resources public defenders have. A Massachusetts judge has overturned the first conviction on grounds that evidence relying on hair analysis is not reputable and would not be admissible in court, potentially affecting thousands of other similar cases.